This Photoshop extension is fantastic. 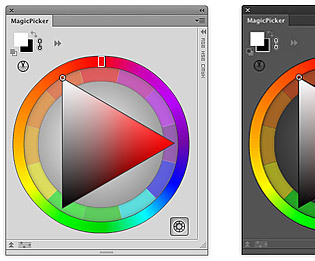 It gives you a great color selection panel similar to Corel Painter but with more options and customizations. If you paint in Photoshop a lot, it is way worth the small cost.